What is Culture and Anarchy? 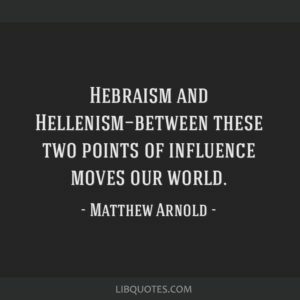 What is Hebraism and Hellenism in Culture and Anarchy? Born on 24th of December,1822 in England, Mathew Arnold was one of the British poet and cultural critic during the Victorian period. Regarded as a saga writer: as his works show the readers specifically on existing social questions. A title holder not only in boundless poetry but a literary criticism, he was being titled as ‘the critic’s critic’. In the views of Arnold, the main purpose of literary criticism was ‘to know the best that is known and thought in the world, and by in its turn making this known, to create a current of true and fresh ideas’. even today Mathew Arnold is synonymous to cultural and critical values. Arnold as a critic was also for all intents and purposes a moralist, and his ideas about what poetry ought to and not ought to be was very definite. The evaluation on Arnold of the romantic poets like Shelley, Wordsworth, Keats and Byron are benchmarks in eloquent criticism. 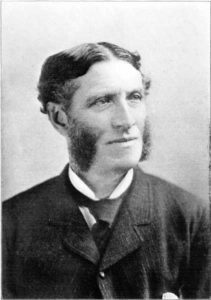 In the rich cluster of poet-critics of English literature; Mathew Arnold dwell in an eminent position as a poet-critic. First distributed in Cornhill magazine in 1867-68, Culture and anarchy is a sequence of periodical essays and to a certain extent a controversial philosophical grind. This piece of writing recognised on his extraordinary agenda on Victorian culture was a bulbous debated subject matter from the 1860s till 1950s. The essay is a thoughtful argument for reconstructing the social beliefs of England. For Arnold, “doing as one likes, ”was the opposite of culture, his term for those who act out of self-interest, lacking regard for the greater good. Culture and Anarchy enunciate a theory of culture that tries to impact thinking about the values of the human race in higher education. Arnold’s theory differs from its anthropological equivalent as; in his word defines culture as a touch to struggle for, and this is in reverence to his idealistic term. Arnold’s unremitting persuasion of modelling the masses who were uneducated into hard working and perfection striving individuals makes culture and anarchy much more interesting. He also believed that the state administration system of education should replace the priestly programme leading to free thinking and more devotion to the community. 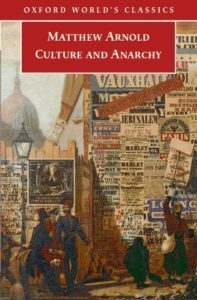 Culture and anarchy as a masterpiece of social criticism give a clear vision of the issues of the Victorian time and its criticism. Culture makes humanity perfect.culture has remained within us as manner that we learn.religion and god has no such role to play in and around culture, but only some situation they are a part of the culture. Culture also promotes the mental growth of an individual.perfection is conceived in culture.people in the vision of Arnold are rough and uncultivated and thus demands a proper system of discipline and law. The main point on which he focus3s is the necessity of personal freedom, but not on the shoulder of anarchy. An individual must think in a proper and the right way. Song, writings, picture and statuette, plays and film all are in some way or the other is a part of the culture. Culture basically refers to these precise doings, from time to time with the addition of philosophy, learning, and history. Hebraism and Hellenism equally are connected to social natural life. Knowing or knowledge is what actually Hellenism is and Hebraism is the faith in doing and these kept on accelerating. The chipping in of divine life with knowledge and action is the final aim. Arnold refers to that the Bible revealing the truth honours the armistice of God as well as authority. Hellenism is the easy and simple idea of getting rid of ignorance, to see the things as it is and finally searching beauty in them. As a Hellenic, Socrates circumstances that he who tries to make himself perfect is the best man and the one who feels that he is still perfecting himself is the happiest among all of them. Under this exposition, the views of Arnold states that in the English nation, there is enough of Hellenism and Arnold ’s emphasizes on Hebraism more for the reason that it is based on self- conduct and self- control. At the expiration, we come to know that the inkling of Hebraism versus Hellenism is the main argument of Arnold. Those who are unwitting and resistant to the idea of culture characterises Hebraism. Those who are strict, narrow-minded method of moral conduct and self-control thus blocking the explanation of the community are the Hebraist. Hellenists are the open-minded ones leading the unprompted exploration of classical ideas to contemporary society. An appeal for public order and a sturdy arm for parameter of the state is made by Arnold since culture is yet to be achieved the orientation of the internal frames of the individuals and the inclinations of anarchies are essential to be suppressed.